Next shoutout: Kappa by Wendy Martin. She’s been an amazing help to me in making this website and my webcomic, so I owe her a great deal. I’ll start by giving her wonderful comic some support here. Go check it out, it’s amazing! 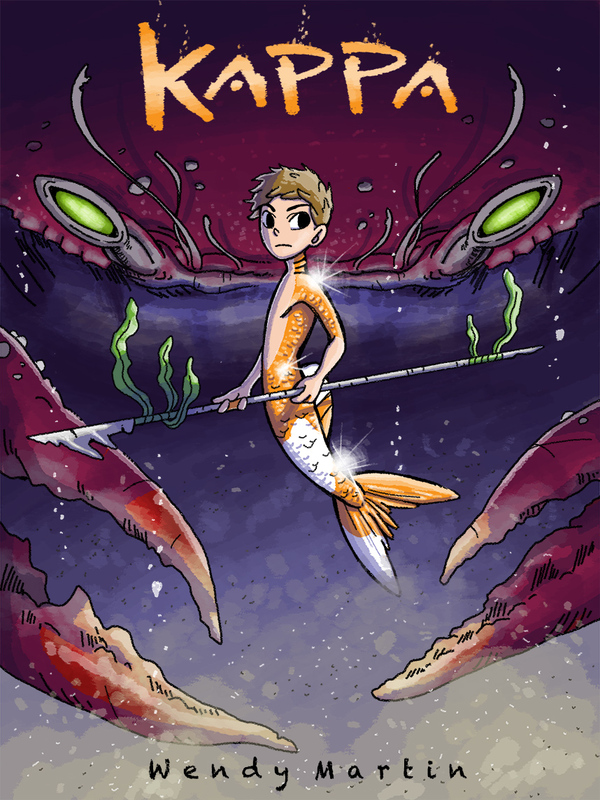 Filled with awesome octopus people called the Nakki, and stunning undersea environments and creatures, this comic is perfect for sea lovers or if you have any fondness for mermaids. Plus, it’s pretty funny and has great atmosphere. I was wondering the same thing as Justice there at first, they do seem to have a… striking resemblance. Also, definitely gonna check out Kappa. Thanks for the suggestion. Thanks! Hope you like Kappa! Is that mountain of dreamy hunkiness Leo Armstrong’s brother? Nah, it’s a total coincidence that they look similar. Ahh, OK. I just though it would be hilarious if the Armstrong family was full of hunky guys who each had a different profession. One could be a baker, another could be a gardener, another a bard, ect. Yet no matter what their job was, they all somehow became just as muscular as Leo. That would be pretty hilarious actually. I’ll have to remember that.